What’s the difference between cheetahs and other Big Cats? The difference between cheetahs and other Big Cats is, first and foremost, the cheetah is not a Big Cat, in the Latin sense of the word. When many people think of the genus Panthera, more commonly known as Big Cats, we think of lions, tigers, jaguars and cheetahs. But, in fact, cheetahs are an entirely different genus than the other three. The cheetah is actually the only remaining species of the genus Acinonyx. The feature that distinguishes the Big Cats from the rest of the Felidae family is their ability to roar because they have a floating hyoid bone and a specially adapted larynx. Cheetahs don’t have this adaptation and, as a matter of fact, make more of a chirping sound and are also known to purr. At first glance, cheetahs may seem most similar to leopards because of their spots, but a cheetah’s markings are quite distinct from the leopard. Whereas the leopard’s spots are two-toned, rosette-shaped, for hiding in the shadowy jungle, cheetahs have distinct black spots that help them blend in with the tall grasses of their hunting grounds. 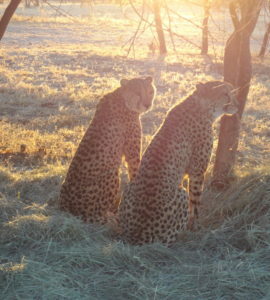 Cheetahs hunt in the daytime and have adapted black tear lines down their face as a protection against the sun’s glare. A leopard has no need for this protection and only has spots on its face. Perhaps the closest “big cat” relation to the cheetah is the cougar, also known as the mountain lion, panther or puma. The cougar, like the cheetah, is the lone living member of its own genus Puma, and not a big cat at all. 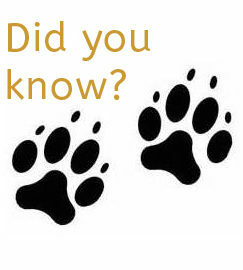 Acinonyx and Puma are in the same sub-family, called Felinae, all distinguished by their inability to roar. 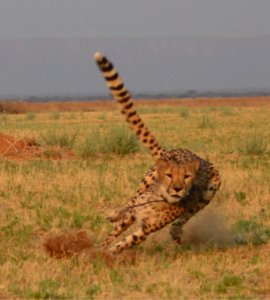 The cheetah’s biggest claim to fame is that it is the fastest animal on earth. 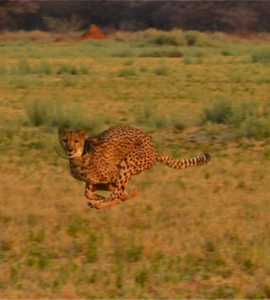 The adaptations that make the cheetah so fast are also what makes it unique, not only from Big Cats but from other members of the Felidae family. 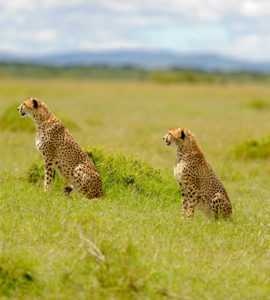 Its long tail aids in balance and steering; its longer hind legs allow for greater leaps of up to seven metres; its eyes sit high on its head to keep focused on prey in a high-speed chase; and, finally, the cheetah’s claws don’t retract all the way in, giving them spike-like high-performance traction. Another reason cheetahs are different from the Big Cats and most animals is that they lack genetic diversity. The approximately 8,000 cheetahs remaining in the world are genetically identical. This differentiating factor is not a good thing. It makes them susceptible to disease and it limits their ability to adapt to changing environments. 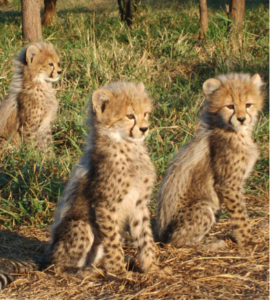 The Cheetah Conservation Fund Canada is the voice of cheetah conservation for Canadians. 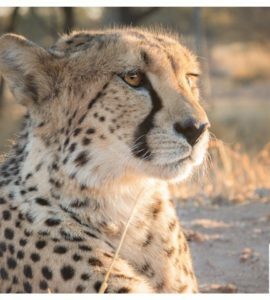 We support the innovative cheetah conservation programs Led by the Cheetah Conservation Fund in Namibia, including research, education and community development. To learn more about how you can help the cheetah’s continued survival, visit the You Can Help pages on our website. BigCats.com. Identify the Big Cats. 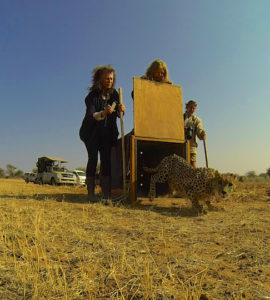 http://www.bigcats.com/learn-to-identify-the-big-cats . Copyright vanAnnies. Accessed September 17, 2017. Big Cat. Wikipedia.com https://en.wikipedia.org/wiki/Big_cat. Accessed September 17, 2017. Big Cat Facts. Big Cats and Small Wild Cats Conservation. 2017. http://bigcatswildcats.com/big-cats/big-cat-facts/. Accessed September 18 2017. Cheetah. Lions.org. 2017. http://www.lions.org/cheetah.html . Accessed September 19, 2017. Cheetah Info book. Scientific Classification. Seaworld Parks and Entertainment. https://seaworld.org/en/animal-info/animal-infobooks/cheetah/scientific-classification . Accessed September 20, 2017. Dobrynin, Pavel, et. Al. December 10, 2017. Genomic legacy of the African cheetah, Acinonyx jubatus. Genome Biology201516:277. https://genomebiology.biomedcentral.com/articles/10.1186/s13059-015-0837-4 . Accessed September 19, 2017. Krausman, Paul R. and Susana M. Morales. July 2005. Acinonyx Brookes, 1828. Mammalian Species 771 pp. 1-6. American Society of Mammologists. Accessed September 18, 2017.